WordPress Development needs checking of the Nightly Builds. RedHat OpenShift has Free quota of using their PaaS. Simple Git Clone can make it possible to test. As, so far; most developers of the core are not yet used with PaaS that much, might not have own paid server with root access, we are showing here how RedHat OpenShift like PaaS can help WordPress Development. Thankfully, Mark Jaquith (mainly) helped a lot for Github version of WordPress – with default Apache version control system, it is difficult to directly clone the builds. Yet, we can use Git with Subversion for WordPress Plugin Development. Knowing Git and command line is more than enough, there is actually no need to understand Platform as Service (PaaS) itself. With a Free RedHat OpenShift account, we will have three instances – that simple means three versions can be kept to check bugs and build. WordPress Development With RedHat OpenShift Free PaaS is really quite easy. 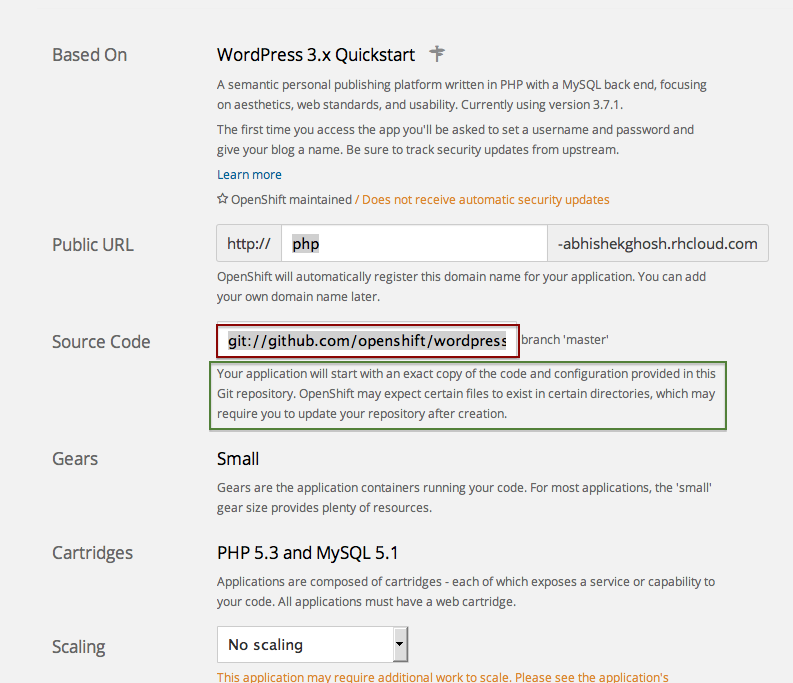 The old guide – Installing WordPress on Red Hat OpenShift Guide will not fully work in our case. Download as zip file, uncompress it; Understand the file struture and replace with new build file. Deploy it to GitHub (your own repo) and use that Github’s repo’s URI in OpenShift’s that field. Easy. This Article Has Been Shared 8992 Times! Cite this article as: Abhishek Ghosh, "WordPress Development With RedHat OpenShift Free PaaS," in The Customize Windows, January 4, 2014, April 25, 2019, https://thecustomizewindows.com/2014/01/wordpress-development-with-redhat-openshift-free-paas/.